The insights of Van Patton, also known as Jorge Cervantes and under that name the author of a dozen books on marijuana cultivation, seem prescient now, with the passage of both Proposition 64 legalizing recreational marijuana in November, and Measure A establishing a regulatory framework in Sonoma County in March. Both of these showed that public support for legal cultivation of marijuana is growing like a week: cannabis has mainstreamed in a way that seemed inconceivable just a year or two ago. But the fascinating connection between cannabis and cabernet (or chardonnay, or any other varietal) will be directly explored this summer, at a Wine & Weed Symposium scheduled for Aug. 3. “I’m not a cannabis person, but I’ve been paying attention and it seems to me inevitable that there’ll be collaboration between the two,” said George Christie, founder and CEO of Wine Industry Network (WIN), an industry resource that, among other things, holds an annual industry expo. Reading the writing on the wall, Christie quickly organized the Wine & Weed Symposium, a trade show specifically relevant to wineries and grape-growers interested in expanding into the cannabis market. The direction will be “exploring the opportunities and issues that the legalization of cannabis presents to the California wine industry,” and Christie is adamant that most in the wine industry don’t regard cannabis as a competitor to wine grapes, but rather as a partner. Likely topics of common interest include regulation, marketing, and tourism — seeing Sonoma as an “intoxication destination,” and managing that reputation. Though Christie said speakers are clamoring to get on the podium, Tawnie Logan of the Sonoma County Growers Alliance is already signed up as a speaker. Unlike the dampening impact that legalized marijuana seems to have on beer consumption, as preliminary figures in Colorado and Washington suggest, wine and cannabis exist in equilibrium, not in competition. But the reluctance to be open about the weed-and-wine connection may be changing, and may be changing fast. A recent story in the New York Times focused on Sonoma Valley wine grower Phil Coturri, showing photos of him tending marijuana seedlings. “As Nero Wolfe would take care of his orchids in his brownstone, I would spend a couple hours a day cultivating cannabis,” the paper quotes him. Coturri is quick to note that his hobby-sized garden is compliant with California and Sonoma County Medical Cannabis laws. According to the article, Coturri’s cannabis is as valued as his varietals — and the latter are biodynamic, grown without glyphosate and highly prized by winemakers including Reprise, Arrowood, Stone Edge and Kamen Estate Wines, the neighbor next door to Coturri on a mountaintop north of Sonoma. For the wine connoisseur, too, the aroma of cannabis or the “nose” is one of the key elements of appreciation and study, with its own vocabulary of descriptors ranging from “orange blossom” and “cassis” to “tobacco” and “grapefruit” — terms a consumer frequently finds on a wine label. Interestingly, many of the same terms can and are also applied to cannabis flowers: skunk, diesel, mushroom and the like. Which raises an interesting question: Which came first, the wine-lovers appreciation for marijuana, or the bud-lover’s interest in wine? Can cannabis and wine co-exist? Decades ago, this reporter covered a wine-tasting river trip where the sommelier introduced the passengers to a dizzying array of fine wines to accompany the riverside feasts. With the fading campfire, he admitted to a few of us that he first got interested in wine aromas from his own interest in cannabis scents, not the other way around. It may be just a coincidence that the explosion in the wine industry, and in wine tourism, followed the hazy bubble of the Boomers. While it may be unlikely that a grape grower is going to tear up his vineyards and put in cannabis plants, things are changing fast. 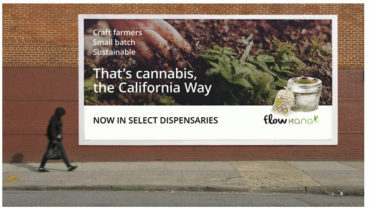 Cervantes said in 2015 that cannabis could be more lucrative than grapes on any given plot of land, with its potential for multiple harvests a year, though he thought florists would be more likely to adjust to the new crop. Interestingly, cannabis wine has a rich history in the central state, where it’s often called “green wine,” than in the North Bay. But since Proposition 64 passed, Rebel Coast decided to jump in and become the first winery to widely market a cannabis wine legally. “It can’t be done in Colorado or Washington because there are laws on the books that prevent it; those laws aren’t written in California yet,” said Forsythe, who said all their sales are direct-to-consumer to avoid illegal sales. Rebel Coast has already made and sold their first batch of legal cannabis wine — Cloud Colony, a marijuana-infused Sonoma Valley sauvignon blanc. 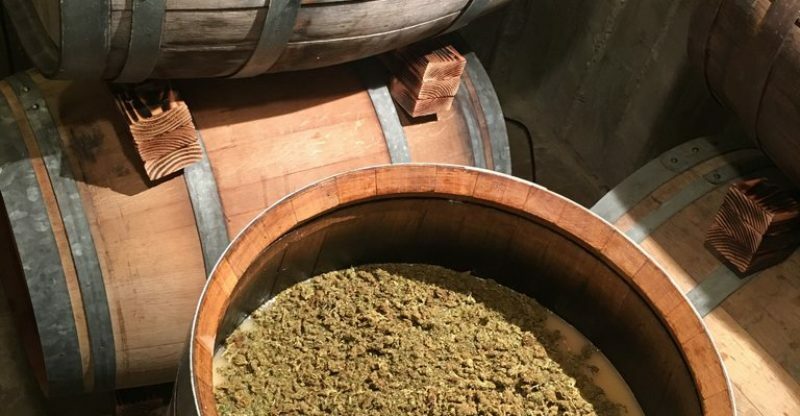 Flowers of the marijuana plant are heated to “activate the THC,” Forsythe says, then immersed in the partially-fermented wine for three to five days. The goal is a wine with the aroma of cannabis and the flavor of wine, with a bit of a buzz: and Forsythe is convinced the first release of Cloud Colony achieved that goal. It may well have — at $69 a bottle, it sold out quickly and there’s a waiting list for the next release. Rebel Coast isn’t the only winery looking at marketing cannabis wine. San Francisco’s Mary Jane Wine, from a medical marijuana collective, is made for their mail-order cannabis club, and singer Melissa Etheredge, a cancer survivor, has sold No Label to her in-state fans. “There’s a little flush after the first sip, but then the effect is really cheery, and at the end of the night you sleep really well,” she reported. Forsythe said that Rebel Coast is committed to a legal cannabis wine. “We will 100% be the first winery in California to do this. If any does, it’ll be us.” And the wine, if the recipe for Cloud Colony holds, will be grown in the Sonoma Valley — and perhaps the cannabis, too. Contact Christian Kallen at christian.kallen@sonomanews.com. Iconic North Bay Winery Becoming Cannabis Farm?